Rumors were surfacing on the wweb for a week or say that WhatsApp might soon introduce Facebook like features, which include ‘mark as unread’ option and also some other tweaks into their Android app and the rumors seem to become reality now, as WhatsApp has introduced a bunch of new features in their Android app. 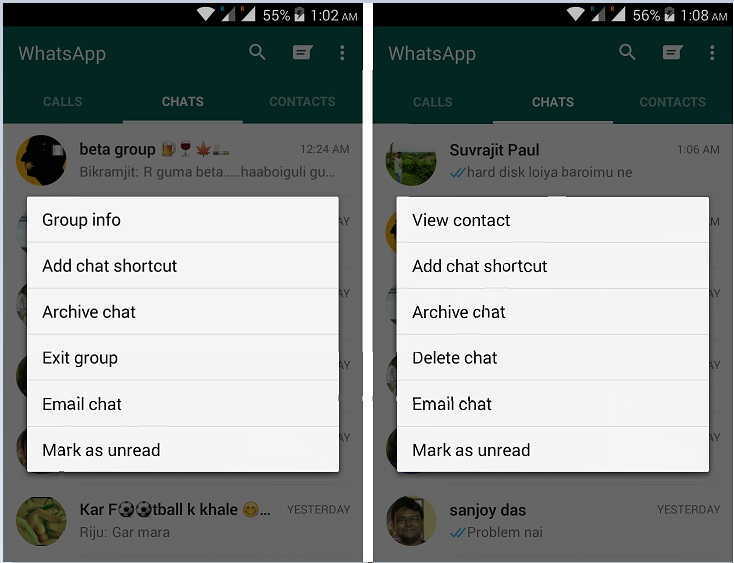 On an update from v2.12.189 to v2.12.194, WhatsApp has made a few changes. On the latest version, you can find an option to mark messages as unread, so that you can read your important messages later once again. 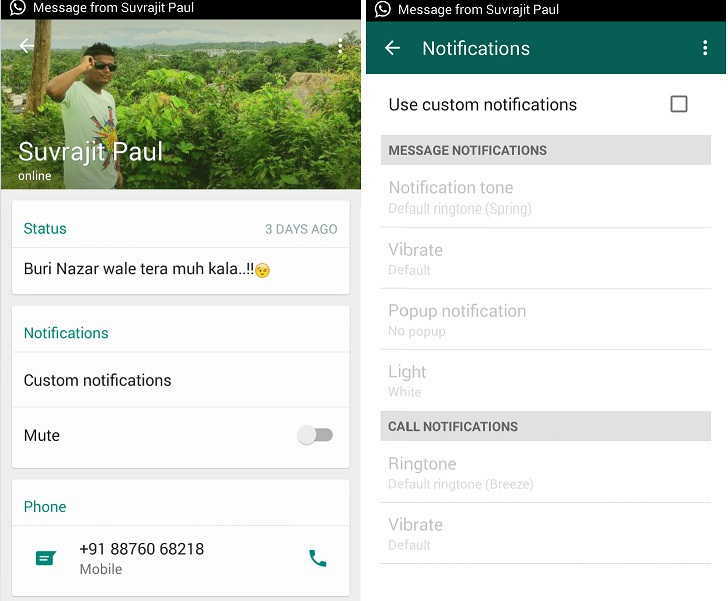 Also, the update brings custom notifications for individual contacts or groups. The custom notifications settings can be found just below the media box of a single contact or for a group. The notification setting box includes options to mute chat as well as a new custom notification option. The feature lets users to select custom options for tones, vibration length, popup notification, and others. Another feature is the ‘mark as unread option’ which you can access by tapping and holding a chat, and mark it as unread. However, it won’t affect the sender and it is for the receiver end so that they can be back to chat after a while. WhatsApp for Android update also adds low data usage option for voice calls, which will be a highly appreciated feature in developing countries like India. Another change hints that WhatsApp is once again bringing the Google Drive backup and restore option back, which had been introduced earlier but was removed back. Currently, you can find WhatsApp v2.12.176 in India via Google Play Store, but if you really want these useful features to be added to your WhatsApp, just download it from the official site. 3 Examples to Prove User Centered Mobile Engagement Actually Works! Brave Explorers – An Augmented Reality Game Where You Create Your Own Gaming Levels!